Men's cargo pants have become increasingly popular over the last few seasons. And as streetwear continues to grow, these practical trousers are here to stay. Here's our style guide on how to wear them. Originally made for the military in the 1930s, cargo pants are loose fitting trousers designed to be extremely durable and be suitable for tough outdoor activities. They are typically characterised by multiple large pockets that were traditionally used to hold field dressings and other equipment. Despite their practical uses, cargo trousers have slowly become more and more popular as a fashion piece. Although they may have had a bad reputation, as street and skatewear clothing becomes more fashionable, cargo pants fit right in. Although cargo pants are generally baggy, the skinny style can also look stylish. Take the traditional cargo look and mix it with a more slimline aesthetic for the perfect finish your modern street style outfit. 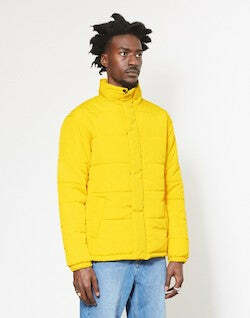 Try teaming them with a jumper and a lightweight shirt. Add some loafers for a smart casual style that is great for this summer season. A pair of loose fitting cargo shorts is perfect for the summer months. 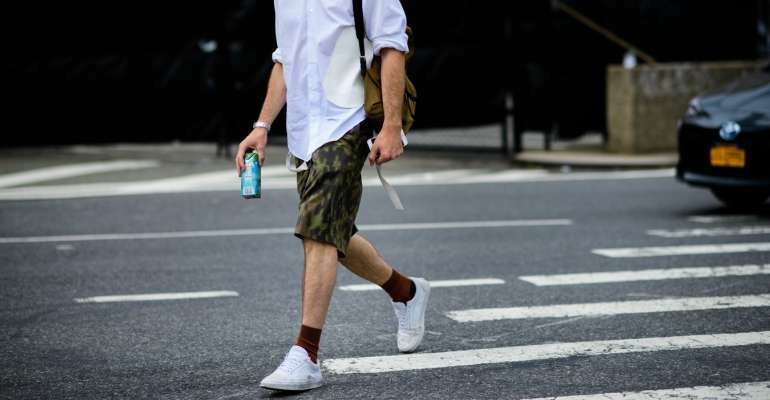 Get a pair of camo or khaki cargo pants and they'll go with pretty much anything that's toned down. 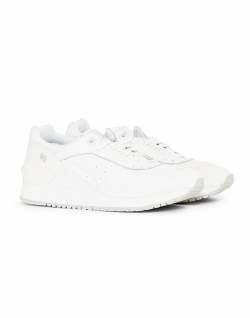 For a simple everyday look try wearing them with a plain white T-shirt and a light backpack. Cargo joggers are an interesting mix of two classic styles. As sportswear and streetwear have both become more popular over the last few years, the combination of these two looks seems inevitable. They work really well in any casual style and look best in lighter tan or beige shades. 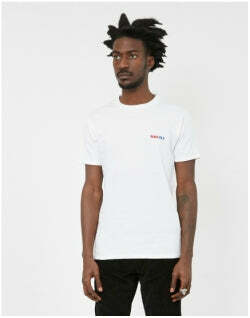 Try wearing some with a simple black T-shirt and some Converse sneakers. Cargo jeans are one of the bolder variations of trousers. They're definitely a statement piece and can be extremely tricky to pull off. Cargo jeans often have lots of detail on them which can mean that your outfit ends up looking a little cluttered. If you're going to wear some then keep things simple with a sweatshirt and some trainers. When it comes to cargo pants, you probably don't think of them as designer wear. However, as skatewear becomes increasingly popular, more and more brands are producing a range of men's designer, cool cargo pants. Iconic streetwear brands like Carhartt WIP and Dickies are arguably some of the best around. 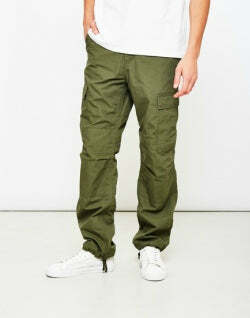 Take a look at our top men's designer cargo trousers. A pair of ripstop cargo pants is perhaps one of the most durable items of clothing a man can own. This specially woven fabric is typically made from nylon and is reinforced in a way that makes it resistant to rips and tears. As well as being used for things like parachutes and hot air balloons, this lightweight material is perfect for a pair of men's designer combat trousers. 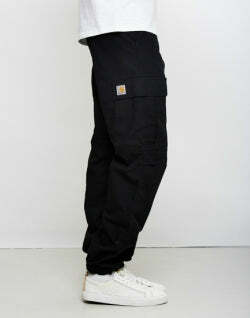 Despite being less traditional, men's black cargo pants are probably a lot more versatile than other colours. If you're getting bored of wearing jeans, a pair of cheap cargo pants will bring some extra dimensions to your look. To get a simple skater look, try and team your trousers with a plain white T-shirt, some old school Vans and a cap to finish it off. Arguably the most traditional cargo pant style, Khaki is a colour originally worn by the military for camouflage. Army cargo pants for men have been around for a long time. The practical applications of these trousers make them excellent for extreme jobs. 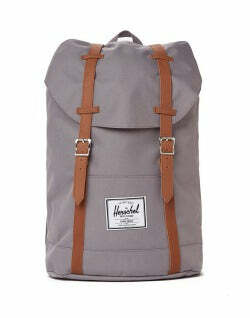 However, the stylish khaki colour also means they're great for wearing casually. 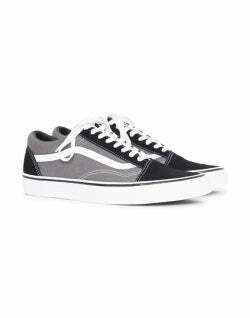 Pair them with a white shirt and a heavy duty workman jacket for a great everyday look. Much like jean cargo pants, white is a very bold style to take on. Although white can look good with a lot of different looks, this colour of trousers can be tricky to pull off. If you're going to wear them then be careful to not get them dirty. Match these trousers with a plain black T-shirt. If you're brave enough you can try to rock an all-white outfit, but take that at your own risk... you've been warned. Slim cargo pants are great for a classic look that isn't overly baggy. Equally, don't get a pair that are too slim. Loose cargo shorts are perfect for the summer weather. Pair this with a plain white T-shirt for a casual look. Cargo Joggers are the ultimate mix of street and sportswear. Wear them as a part of your casual look or chill at home in them. Ripstop is an extremely durable fabric and will stop your trousers from tearing. Don't be put off by the price of these - they may cost more but it's because the quality is better so they will last much longer. Despite their reputation for being unfashionable, cargo pants are one of the biggest trend pieces for this season. As skinny trousers become replaced by more baggy alternatives, cargo trousers will become increasingly more popular. Whether you prefer a classic khaki style or a unique camo print, there's something out there for everyone.